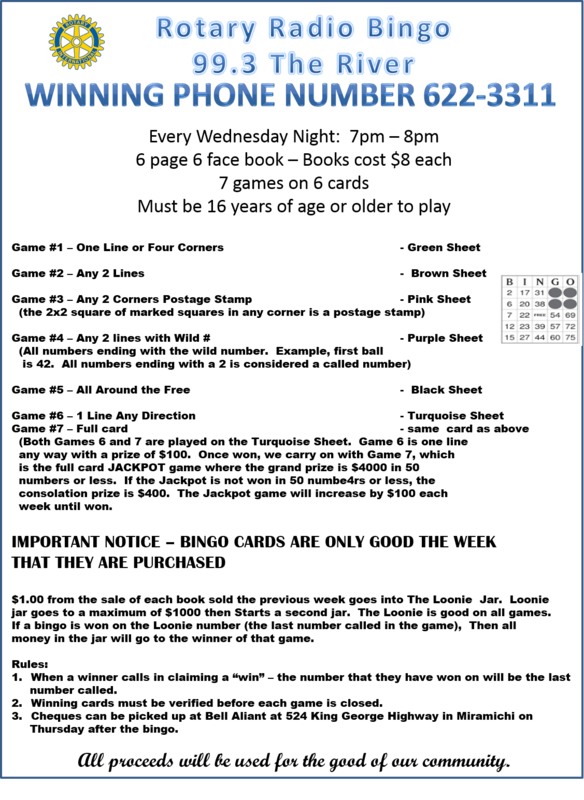 Join Michelle Roy and play bingo from the comfort of your own home with the Rotary Club of Chatham’s Radio Bingo! This week’s jackpot (Oct 10th) is $8,100 (in 56 numbers or less)! The two loonie bins $1,000!